Listen here the promo video!!! When I first heard the music that came out of the legendary Sun Studio in Memphis, TN, it hit my like a big delivery truck. I found the sound the rhythm and that changed my life. It made me pick up the guitar because I wanted to learn how to play the songs that Elvis, Jerry Lee Lewis, Carl Perkins and all the others recorded at the small studio at 706 Union Ave. Not much later I found some cats who felt exactly the same. 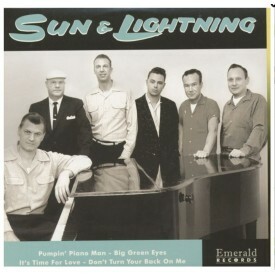 We got together to play the music we love, even recorded some albums with some of our Sun Records heroes. In April 2017 we finally went on a field trip to the United States, visiting some of the historic auditoriums, studios and places from the 1950s with the goal in mind to record six songs at Sun, in the same way it was done back then. Our excitement was huge, but the disappoint-ment was even bigger when we had to find out, that our passion was not shared by the studio engineer. Although all the vintage equipment was there up and running, the engineer insisted on recording through his computer. That was never an option for us, so we left before we had really started. A few months later we stepped into the rooms of Lightning Recorders in Berlin, Germany, the place for high quality analog recordings in Europe. 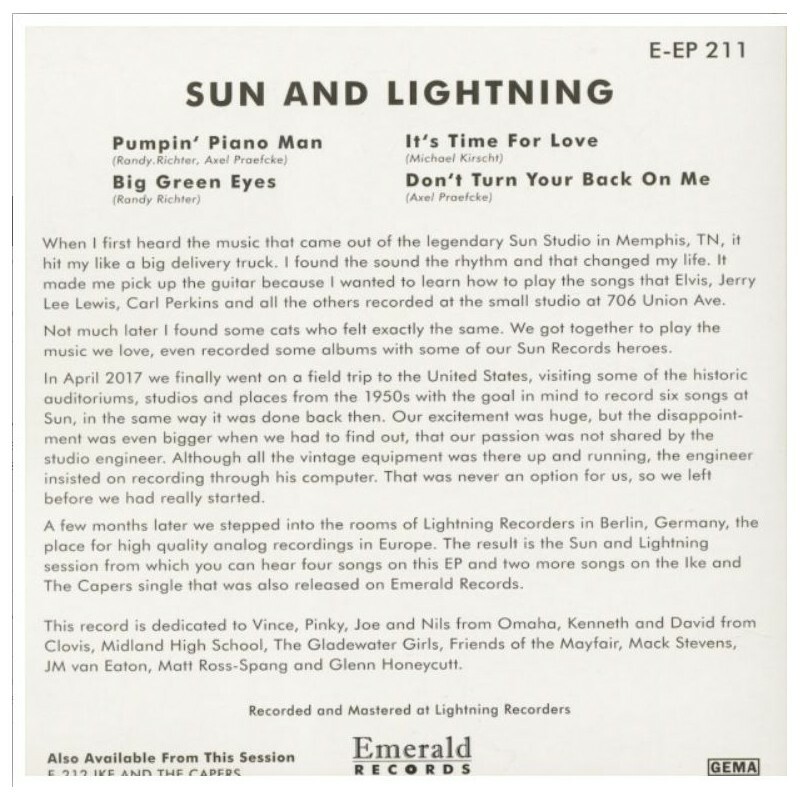 The result is the Sun and Lightning session from which you can hear four songs on this EP and two more songs on the Ike and The Capers single that was also released on Emerald Records. This record is dedicated to Vince, Pinky, Joe and Nils from Omaha, Kenneth and David from Clovis, Midland High School, The Gladewater Girls, Friends of the Mayfair, Mack Stevens, JM van Eaton, Matt Ross-Spang and Glenn Honeycutt.